The Skills Academy for Sustainable Manufacturing and Innovation (SASMI) is a world class centre dedicated to training in the green industries. Owned by Gateshead College, the site is based in North East England, close to Nissan’s Sunderland manufacturing plant. The centre is preparing the region's workforce in the skills they need to work in the low carbon industries of the future and provides training in low carbon vehicle manufacturing. It is also an excellent learning facility for employers, apprentices and students – providing new skills for new jobs. Before becoming a pilot site in the ELSA project, the SASMI was already equipped with a Building Management System (BMS), which is responsible for the lighting, heating and cooling system as well as collecting data from all available sensors. At the SASMI site, an ELSA battery energy storage system consisting of three 2nd life Nissan Leaf batteries with a total capacity of 48 kWh has been deployed. Additionally, a 50 kWp photovoltaic system has been installed on SASMI’s rooftop – consisting in total of 191 solar panels covering an area of 320 m2. The existing BMS was upgraded to include a number of new meters, sensors and weather instruments that are also incorporated within the ELSA Building Energy Management System (EBEMS) enabling more efficient control of the building services with SASMI. The Gateshead College is one of ten ELSA consortium partners and responsible for the project’s pilot site in Sunderland, United Kingdom. Geoff Watson is the Technology Manager at Zero Carbon Futures, a subsidiary of Gateshead College and part of the ELSA team in Sunderland. What is the special focus of the ELSA pilot site at Gateshead College? The primary objective of the Gateshead College site is to reduce the amount of energy being consumed from the grid. This will be achieved by both monitoring the numerous sensors and meters installed within the building and then controlling building services such as heating, ventilation, air-conditioning and lighting, alongside the control of the charging and discharging of the energy stored in the batteries. Furthermore, Gateshead College will develop training to support safety requirement associated with the deployment of distributed storage system in particular with a focus on the requirements of rescue workers and paramedics. What are the long-term benefits you expect from installing a second life battery storage system? 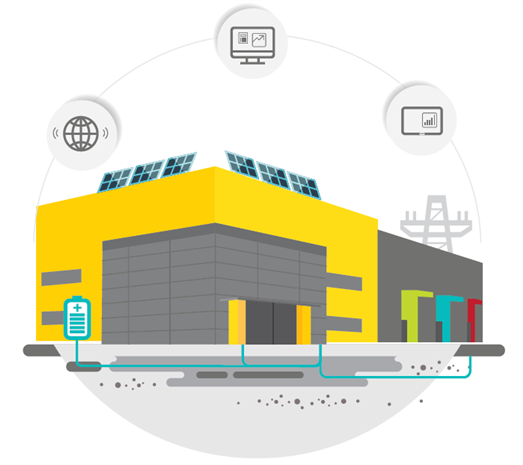 The installation of the battery storage system combined with PV and increased monitoring and control capability of the buildings energy system will allow a reduction in demand from the grid thereby decreasing costs. The system will also help to validate a new market for the 2nd life use of Electric Vehicle (EV) batteries which will aid in decreasing the cost of new EV’s.